Beaumont Solar - How Do I Get Started? Beaumont Solar can easily and effectively help you evaluate the positive impact solar energy can have on your business and your bottom line. The first step is to ask yourself a few simple questions about your property, energy usage and the type of industry or sector you fall under. If you are a commercial or industrial property owner, and want to estimate your solar potential for a particular site, try the Beaumont Solar Wizard! Then email us or call 888-745-8122 to speak with the Beaumont Solar experts for a more in-depth analysis based on your specific property. 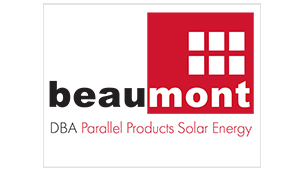 Government entities, as well as schools and universities, with multiple properties, bills and requirements should contact Beaumont Solar directly for our expert advice on how best to deploy solar, save money, and eliminate the use of any precious capital budget dollars. Email us or call 888-745-8122. Click here to calculate your potential solar savings with Beaumont’s Solar Wizard.